Following the unsuccessful attempt to activate a couple of Summits in the high country a week or two back we decided that a nice, easy one would be a good choice for our next expedition. It turned out to be a beautiful, sunny day if a bit chilly with the wind from the southwest, blowing directly off the snow. 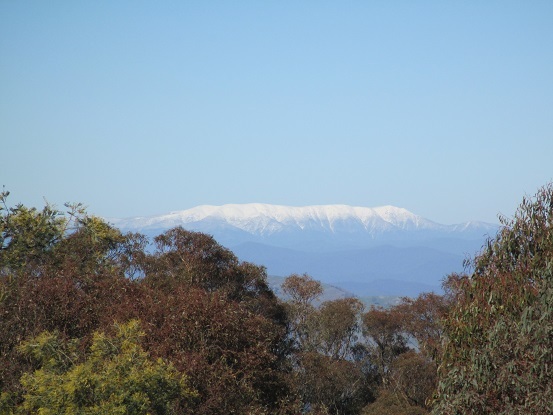 We knew there would be no snow on the 863m Mt Granya. As it turned out that was only partly true. 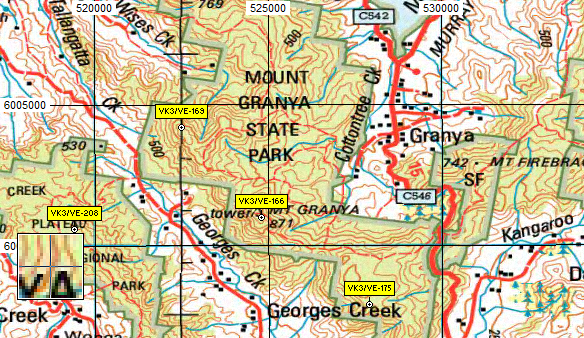 Mt Granya is an easy drive from Albury and the road goes right to the Summit, where there is a picnic table with a conveniently located tree right next to it. We set up the FT-817 on the table and slung the link dipole from a branch at about 5m up and were on the air within ten minutes of arrival. With about 5 minutes to go before the UTC roll-over I managed to squeeze in contacts with VK3ANL, VK3CAT/M, VK2IO and VK5WG on 7MHz SSB. I carried on after the roll-over and in about an hour of operating I worked VK3EK, VK3MCD, VK3PF/M, VK5PAS, VK3HRA, VK3ANL, VK3FMRC, VK3ARR, VK1NDE, VK2TKK, VK2GAZ, VK2QR, VK3AZZ, VK1DI, VK2TWR, VK5FMID, VK2LEE, VK3ERW, VK3UBY, VK5BJE, VK2YK, VK2UH, VK1MA, VK3DAC, VK1NAM, VK2TRL and VK3BQ on 7MHz SSB and VK6MB on 14MHz SSB. 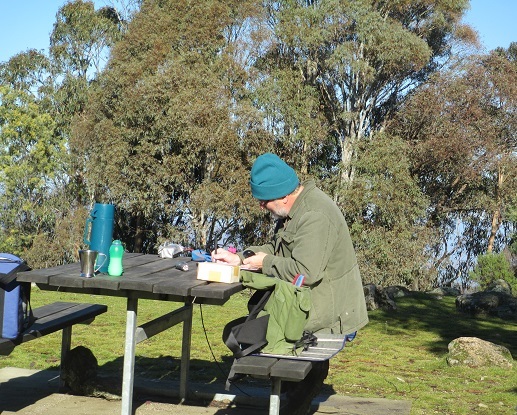 The wind was picking up by this time, bringing a blast of cold air from the snowfields to the south and west, so after a quick cup of tea to thaw myself out we packed up and headed home for lunch.